NEW BANNER, ART ART ART, ISHIHIME CONTEST AT DA! THANK YOU SO MUCH TO yorleni FOR THE NEW BANNER. Yorlenisama did our last banner and promised me a new one as soon as I saw a panel I loved and haha, this Quincy arc had so many, but that one of Ishida with his under-age drinking of sake (or whatever Sternritter juice Yhwach gave him--dude probably slipped the lad a roofie) is a winner. The original art is by Kubo-sensei; the vector lineart is by http://necrofusion123.deviantart.com/ and click the cut to see Yorleni's original coloring for the banner. In other news, I'M BAAAAAAAACK. Sick as a dog as always but the daughter is in summer camp and I have some time and plans to get kicking with this community again. I have some fic in the works and some drawings and I'm so enthusiastic about recent manga developments (namely, Mayuri's Frankenstein, Ichigo's saying "farewell," the hijinks in the Royal Realm and the clues about what the dense reishi there may really mean, and of course all the QUINCY QUINCY QUINCY). The move to Dreamwidth for bleachness didn't go over so smoothly, so I'm going to see what I'll do there. Fandom seems to be hopping on Tumblr lately, so I may get an alternate blog. Stay posted. So much lovely art today. Your newest IshiHime drawing is flufftastic! And thanks for the contest referral. I MUST ENTER IT!!! 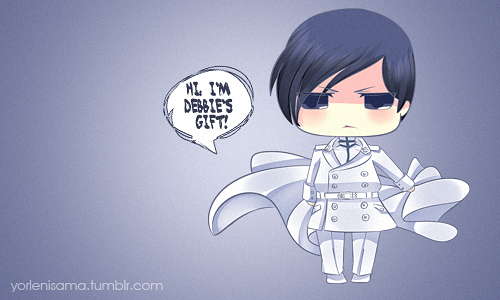 Yorleni's chibis are the cutest, and her chibi Ishida is the cutest of all *__________________* I want to eat him... uguh! Hi Eny! Yes, I'm waiting to see what you come up with for the contest! I see Lady Melissa signed on too! I'm always dying for IshiHime arts and I hope this arc sees a surge of interest in the pair. 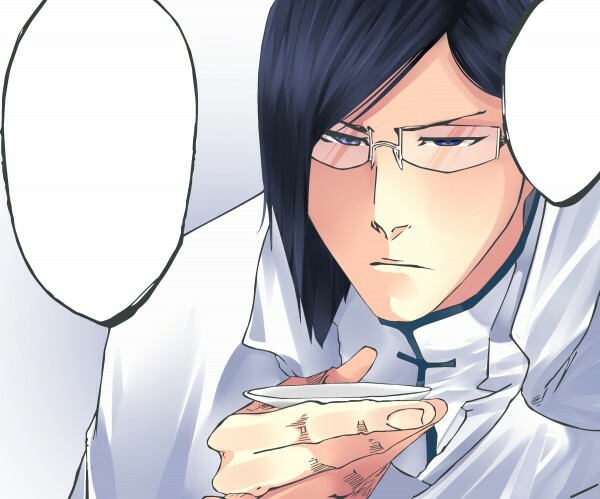 It's funny that the moment Ishida was announced to be a prince there was new IshiHime speculation and talk, so I'd love more fanwork. I'm always fine, never worry about me. :) I get sick so much but I will live to be 101. Oh yes, IshiHime fnadom bit by bit is getting attention (and hate, LOLZ) in the fandom and generating discussion and fanwork, it's thrilling!